Antonio Giner grew up in Argentina, traveled through Europe, and lived in Mexico before settling down in El Paso, Texas. 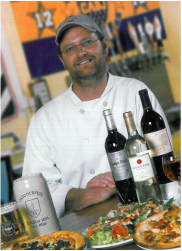 His travels exposed him to a variety of cuisines, but his love of food prompted him to open an Italian-style wood-fired pizza restaurant in El Paso in 2002. 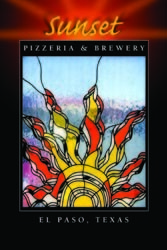 After 10 years of operation, Sunset Pizzeria was passed on to a new and energetic group that expanded the concept and is doing quite well under the new name of Tosca Stone Oven Pizzeria. As a self-taught food connoisseur, Antonio spent 2013 formalizing his training as a Chef in his home county at the Culinary Institute of Mausi Sebess. Today, his new menu includes thin crust, hand tossed, artisanal pizzas referred to in the old neighborhood as “pizza a la piedra” because it was cooked directly on pizza stone. The dough is made daily in house, cheese is hand grated, and our own fennel pork sausage is prepared on-site. Our signature pizzas are very labor intensive, but we believe it results in a markedly better product. The specialty pasta and sauces are also made fresh daily, in house, from the finest ingredients available. A variety of pasta shapes and fillings are produced and rotated. Should we run out of a certain shape, please accept our apologies, only enough is made for daily consumption. Because pasta is not meant to be served “naked”, our menu will recommend parings with a variety of sauces. Feel free to experiment on your own. A note on our tomato products. We only use peeled Roma tomatoes, packed in juice with fresh basil leaves. We never use tomato paste of reconstituted tomato products. Our tomato sauces are light and fresh and meant to be that way, so you taste the tomato, not pungent and acrid flavorings. It is a matter of style. Please enjoy our hand crafted pizzas and pastas in moderation, as products made with this much dedication and love can be addictive.